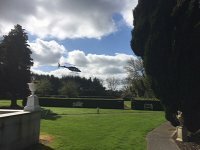 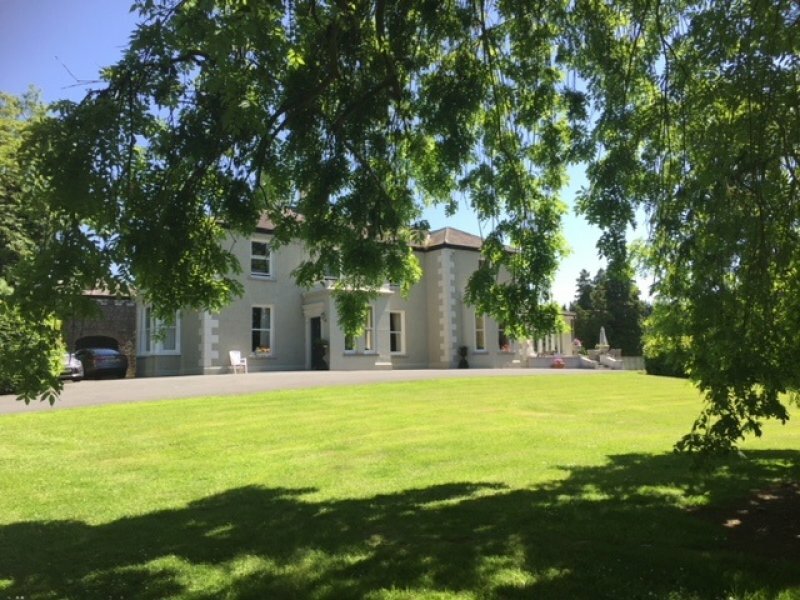 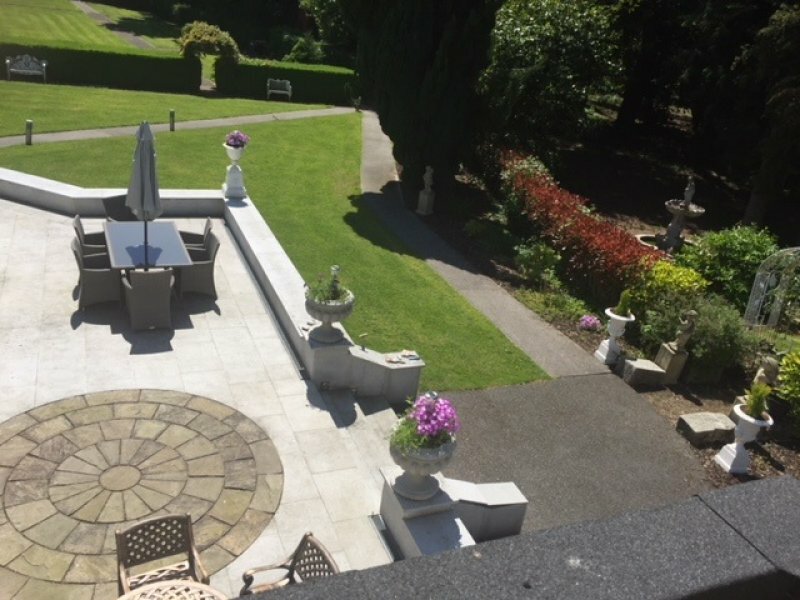 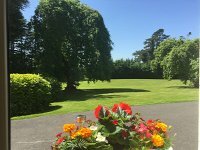 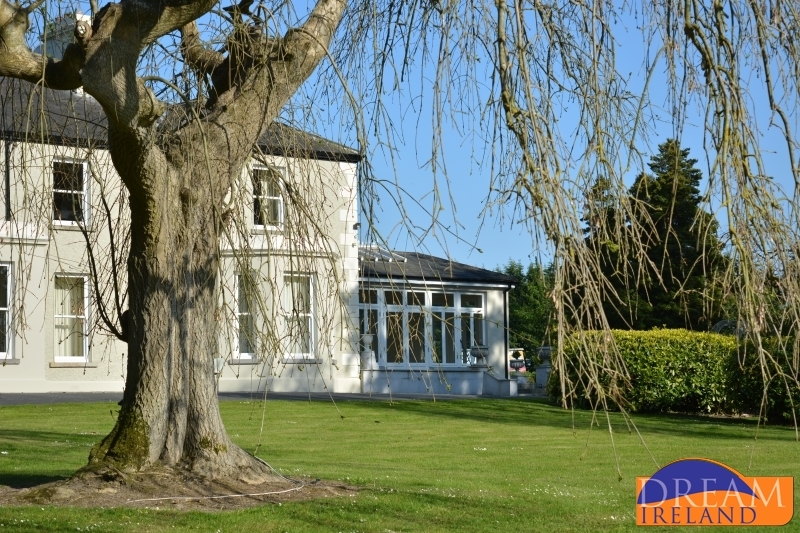 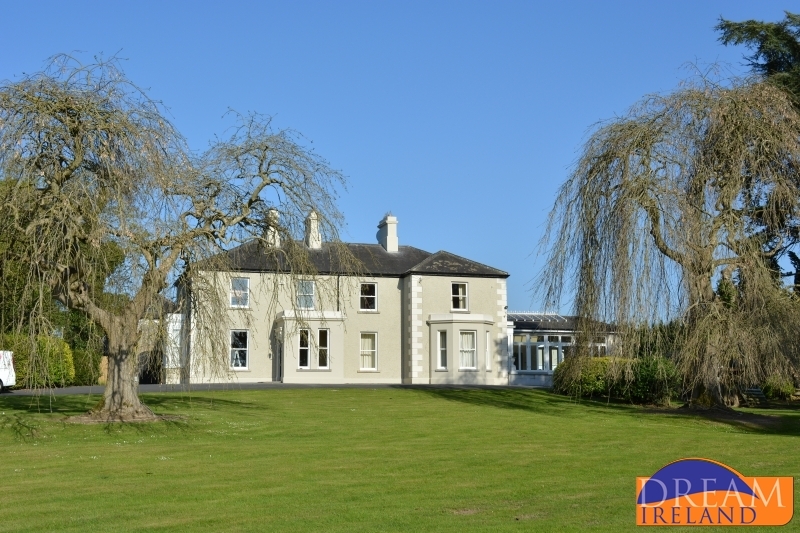 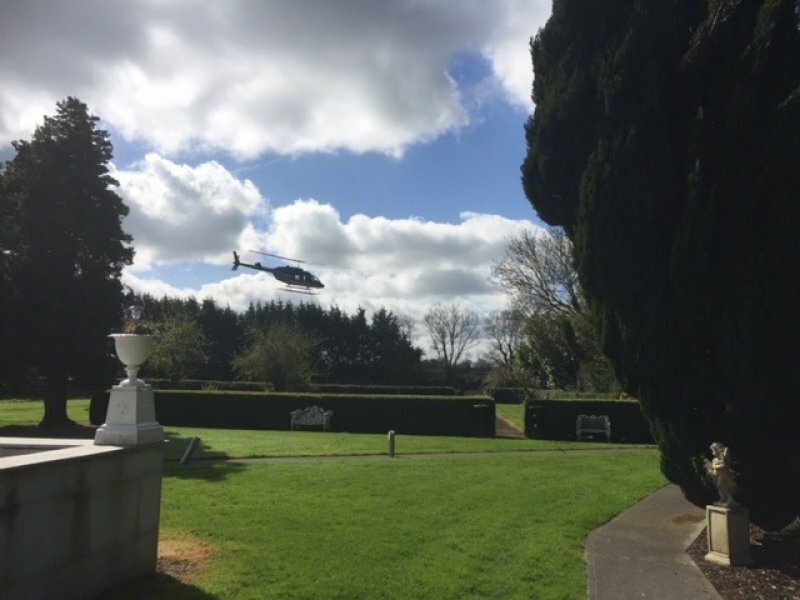 Located just a 20 minute drive from Dublin Airport, Greenfield House is the perfect base to stay at when visiting Dublin and its surrounds. 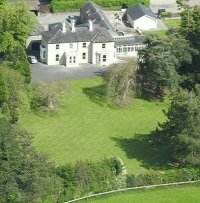 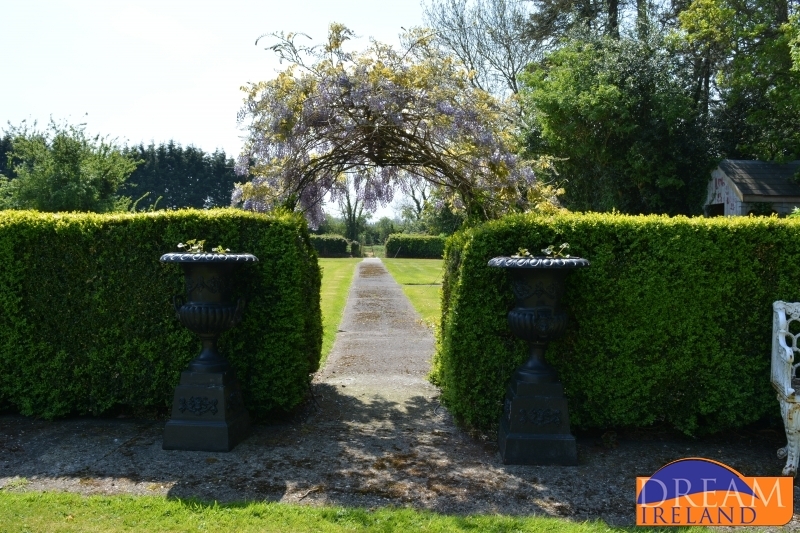 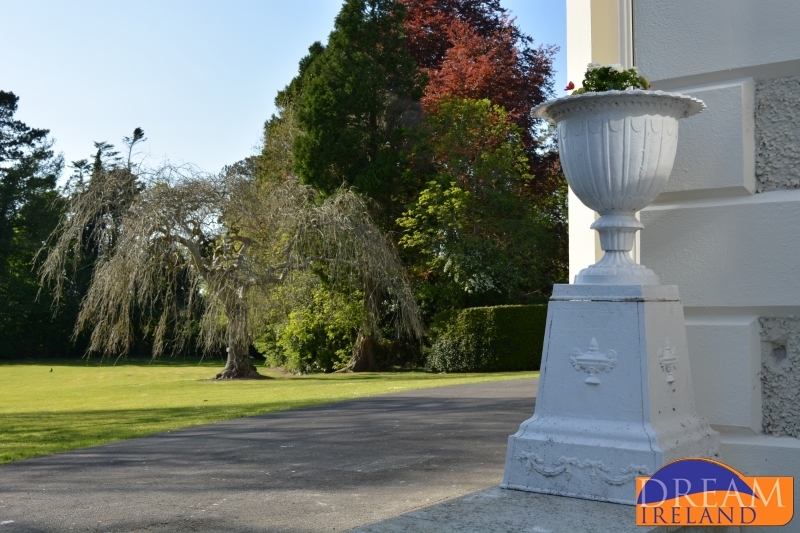 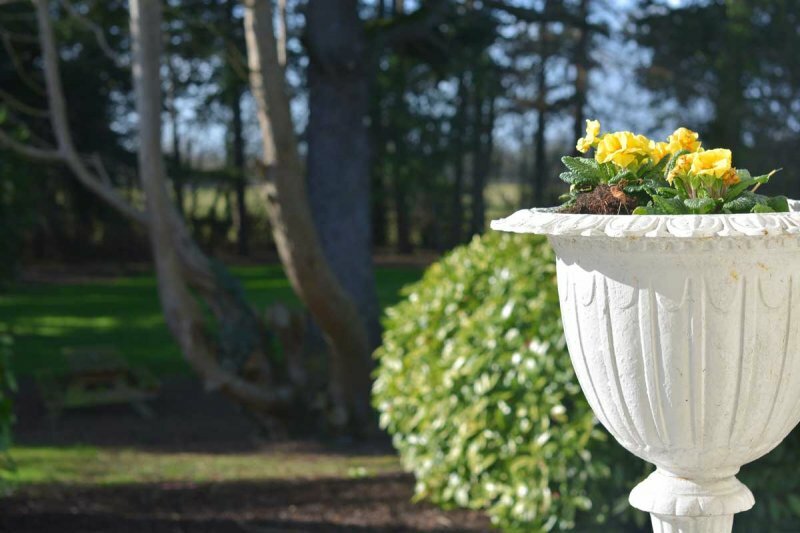 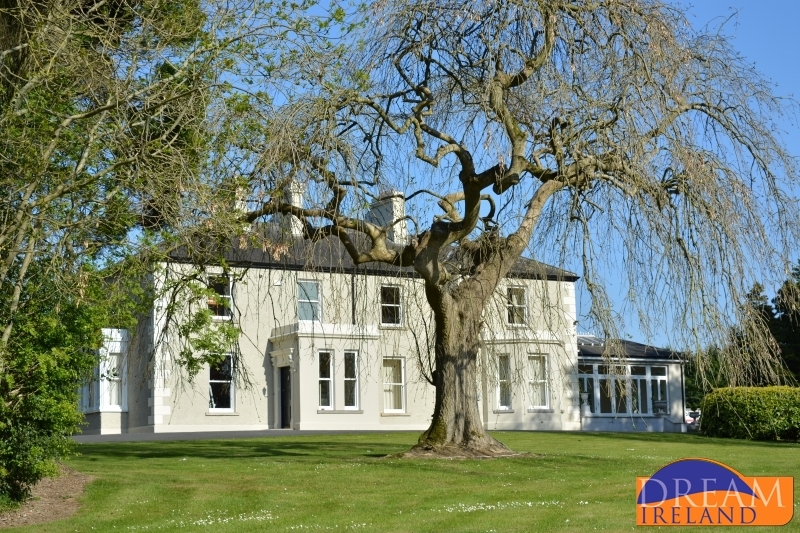 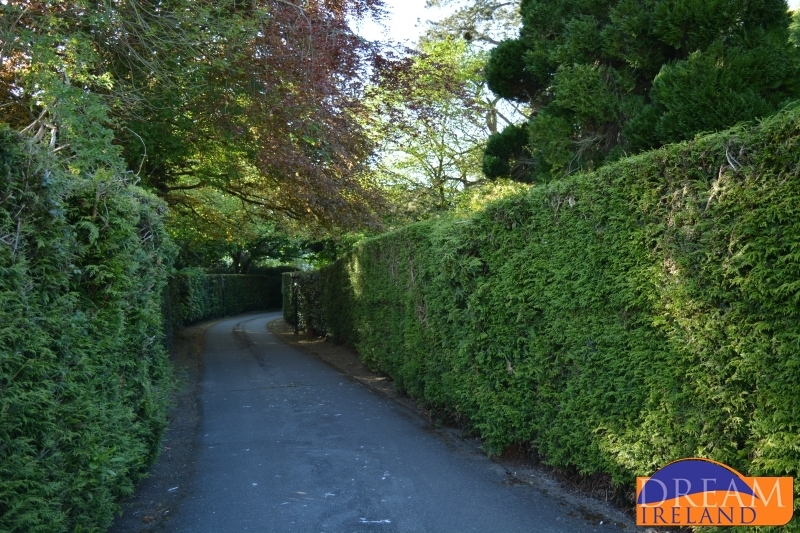 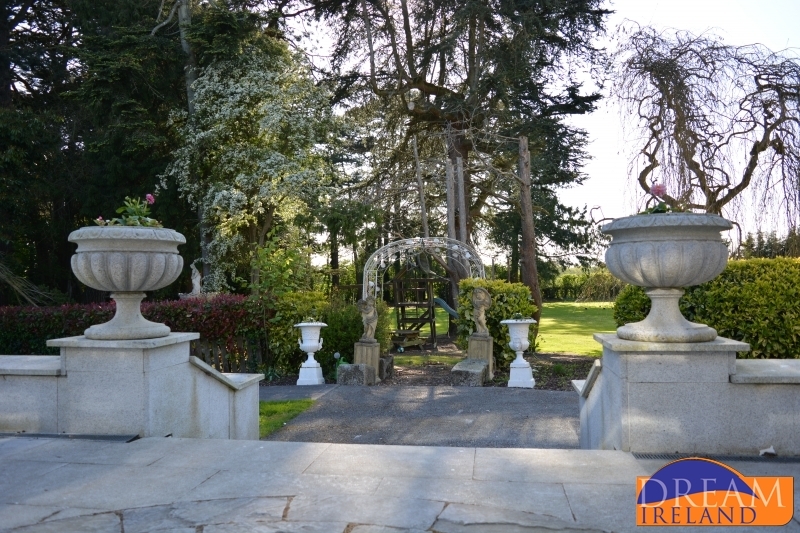 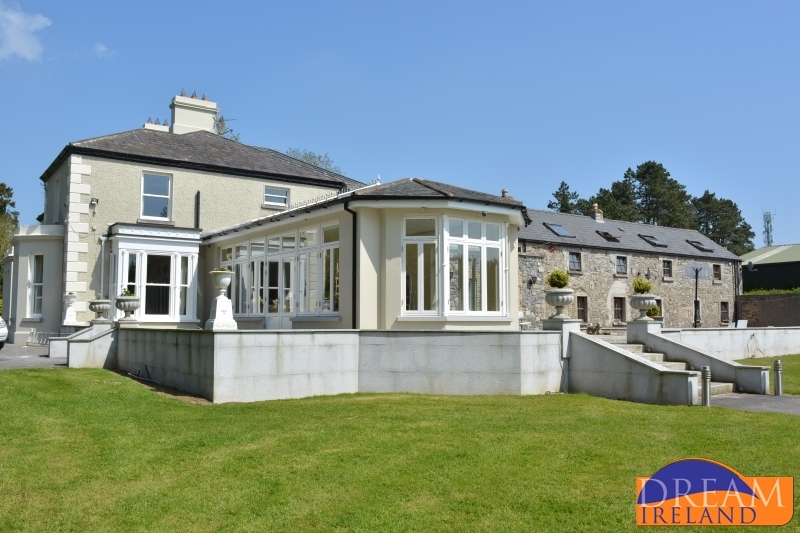 It is an impressive country house style property with wonderful gardens just waiting to be explored. 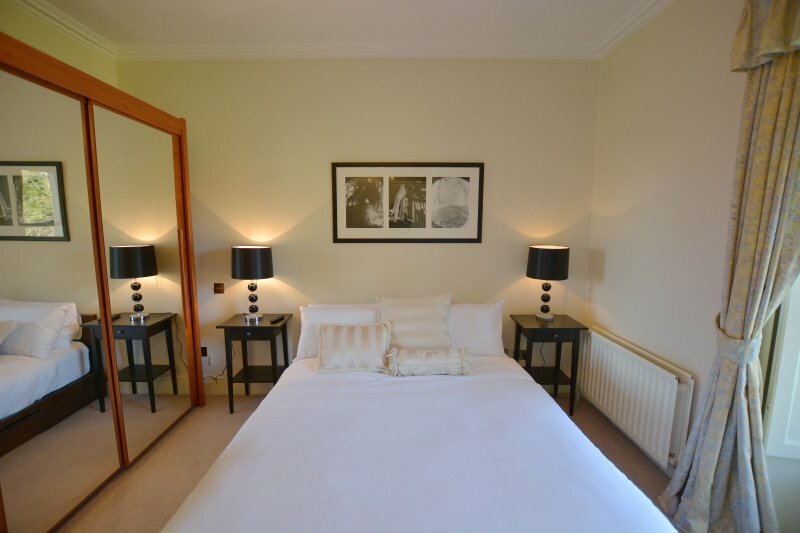 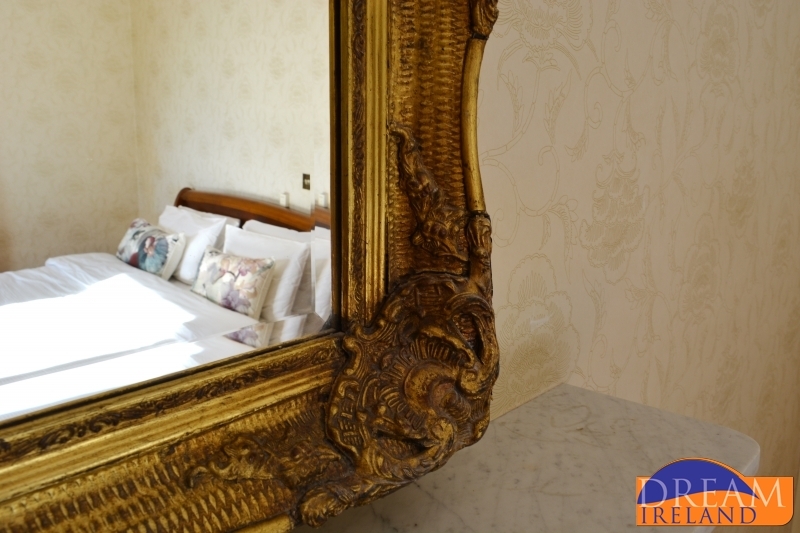 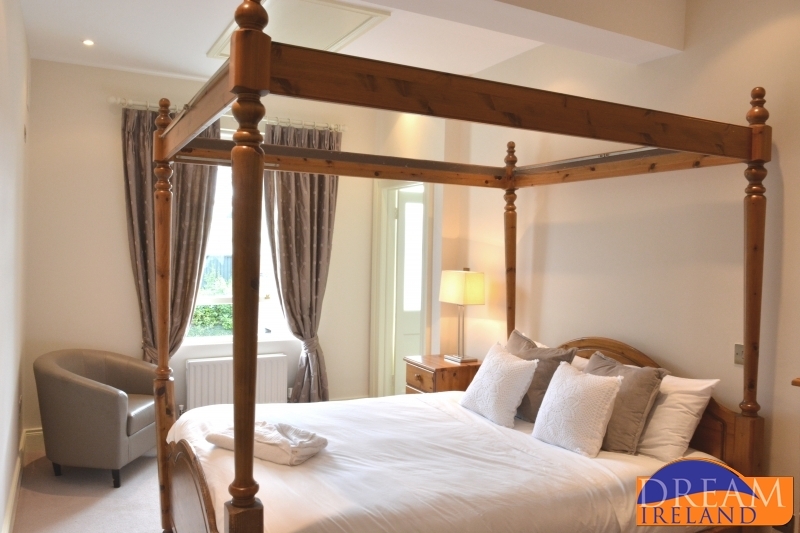 Greenfield House has five spacious bedrooms and can comfortably accommodate up to 10 people. 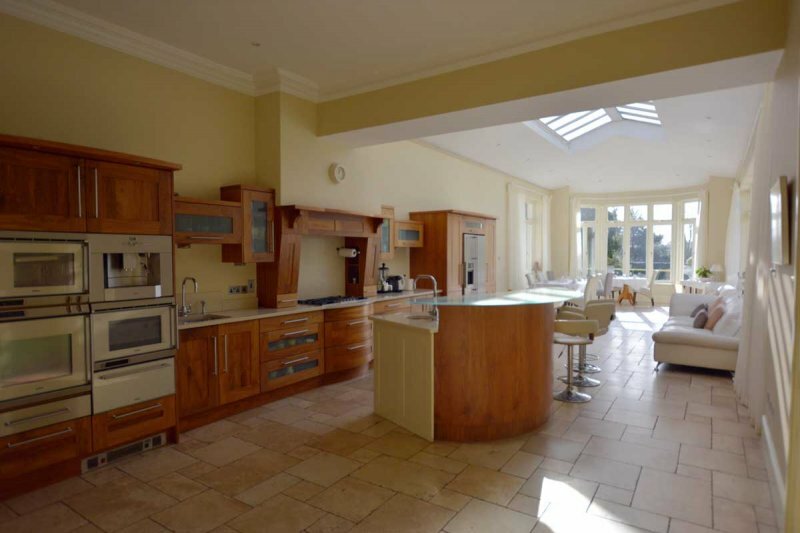 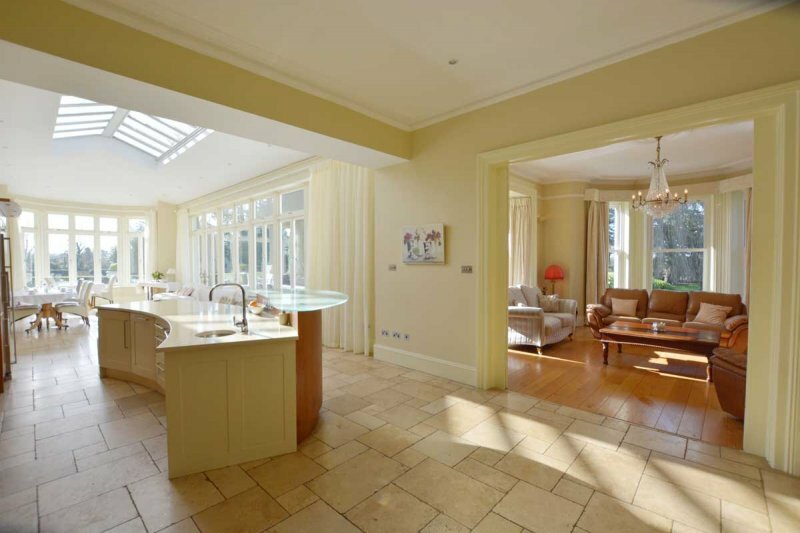 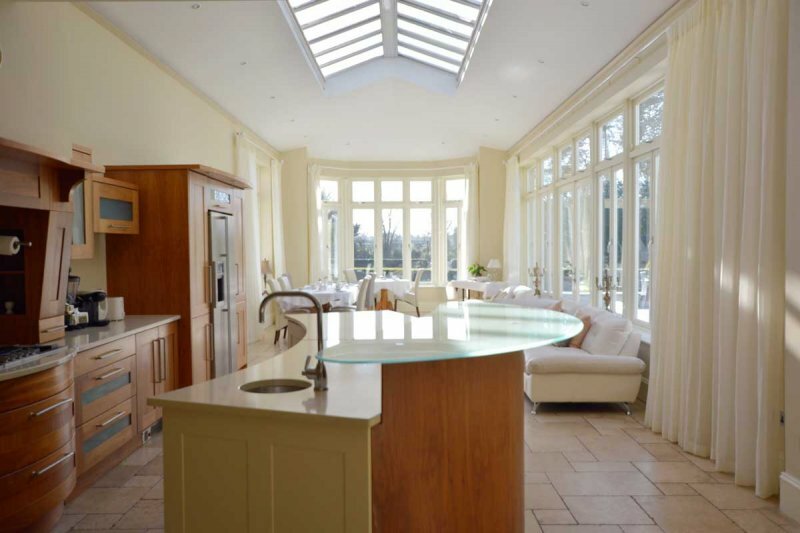 The main kitchen and dining area is so bright and airy and welcoming that you may never want to leave! 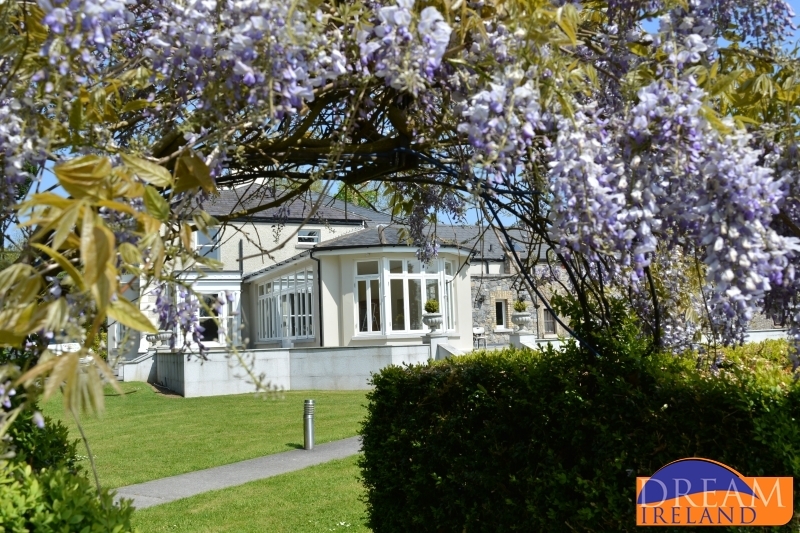 It is very well equipped for catering for large groups and has a dining area along with a breakfast bar with 4 stools. 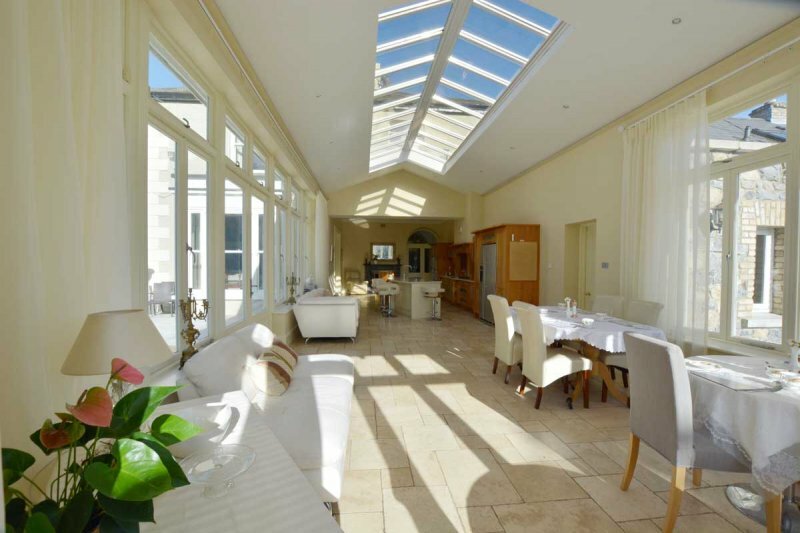 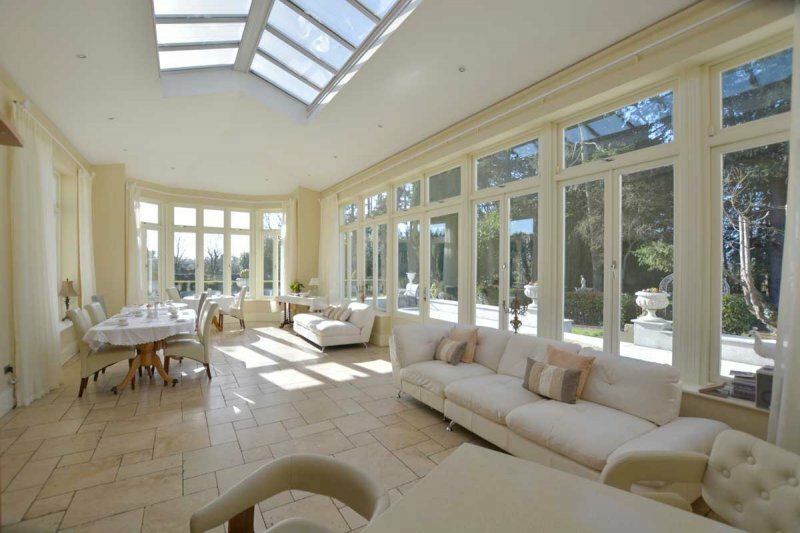 This room features a long glass section overlooking the sun terrace and the gardens beyond. 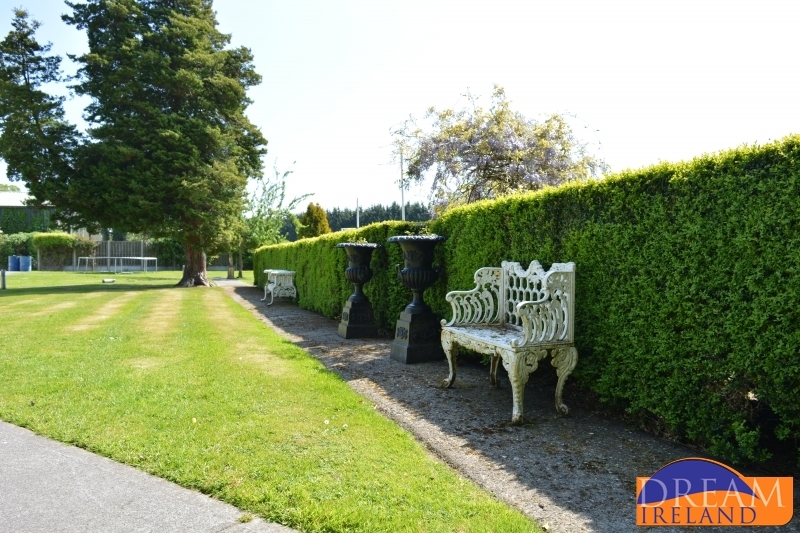 This would a wonderful spot for a summer bbq. 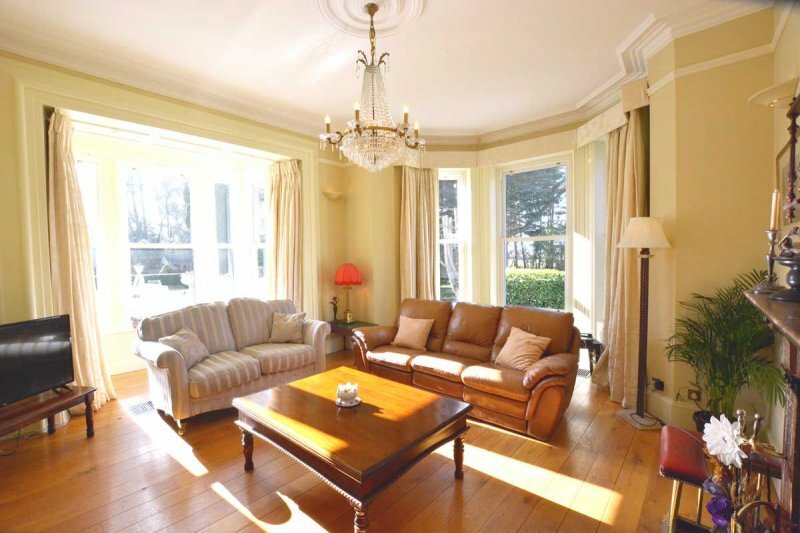 The sitting room has a cosy open fire and offers direct access to the gardens outside. 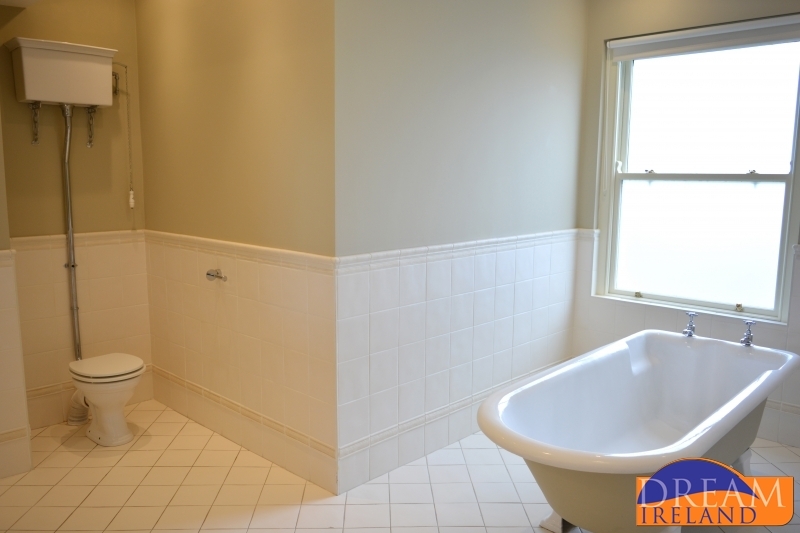 There is also a downstairs bathroom with shower. 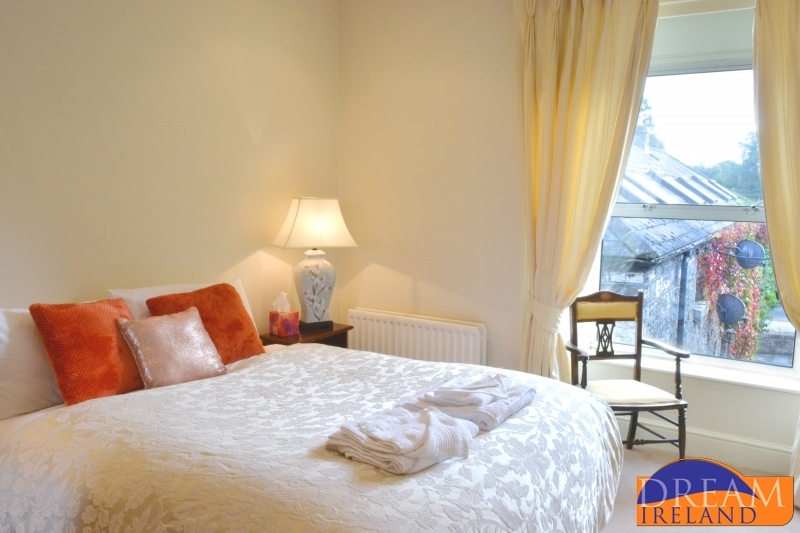 The five bedrooms are located upstairs. 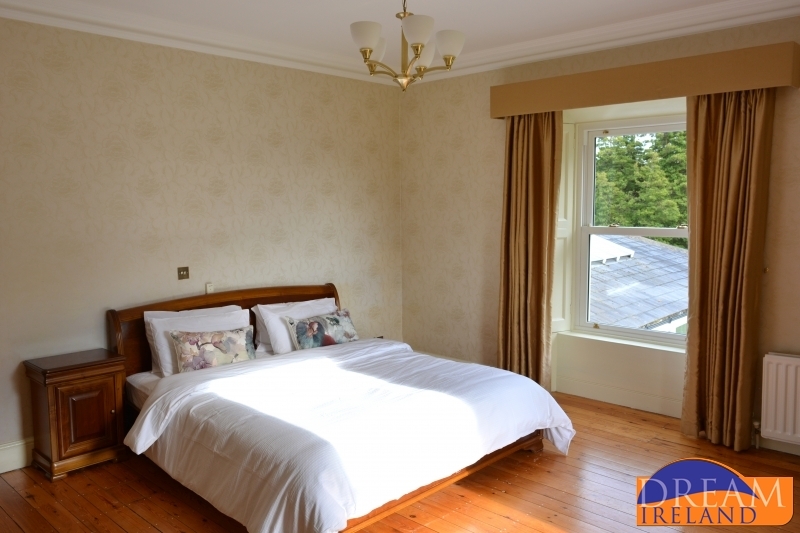 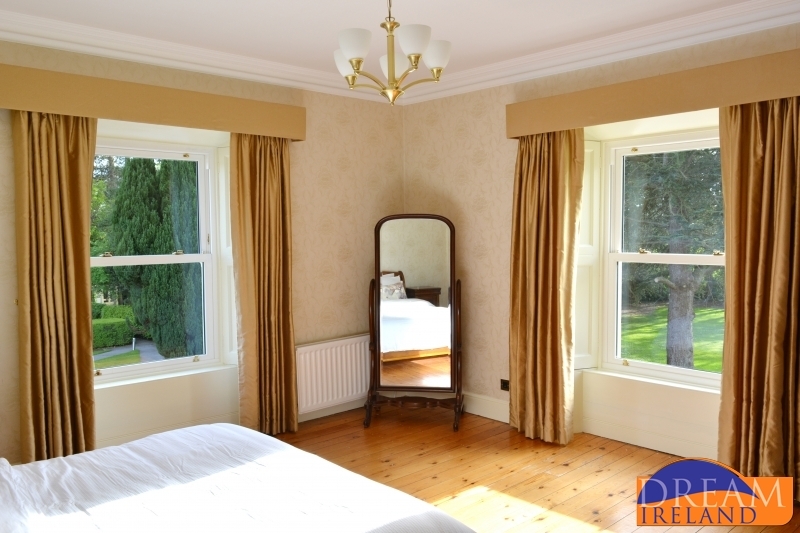 The master double bedrooms has a feature fireplace and has stunning views over the garden. 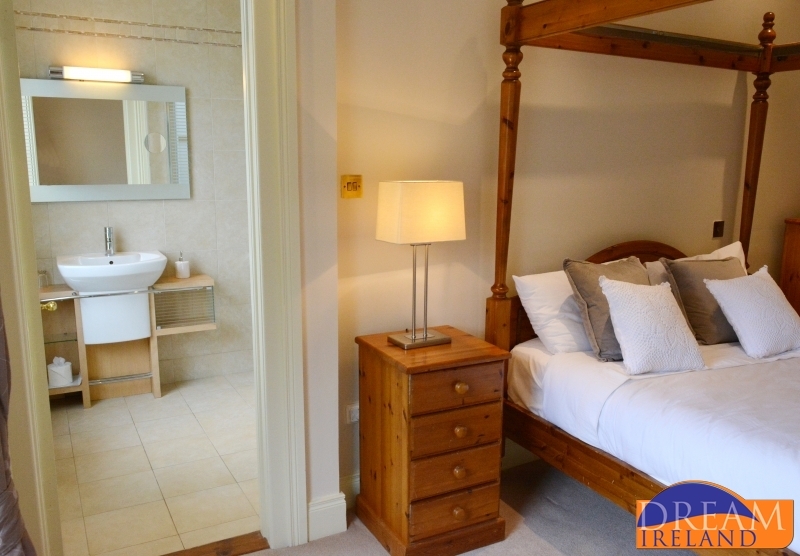 It features a walk-in changing area and a large bathroom with a free-standing bath and a separate shower unit. 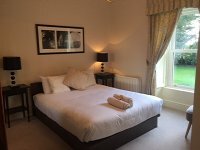 There are three more double bedrooms with ensuite shower rooms and the fifth bedroom is a twin room with two single beds. 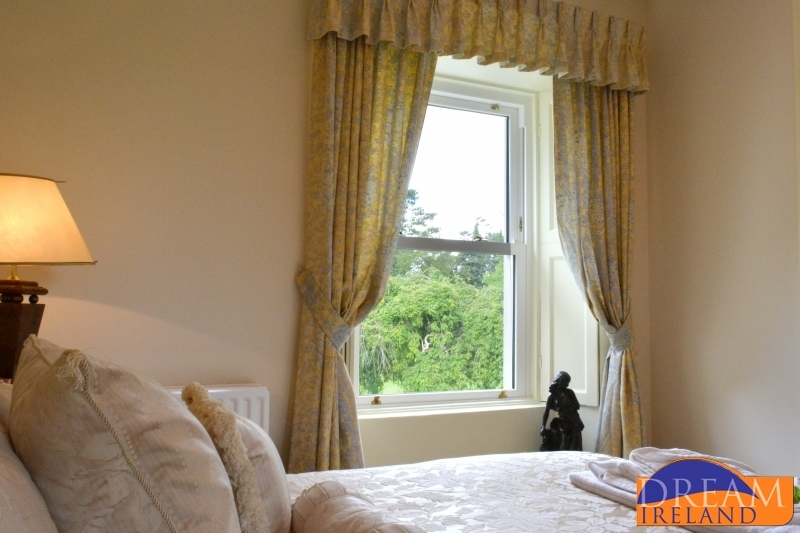 This is a nice room with an ensuite shower room and views over the garden below. 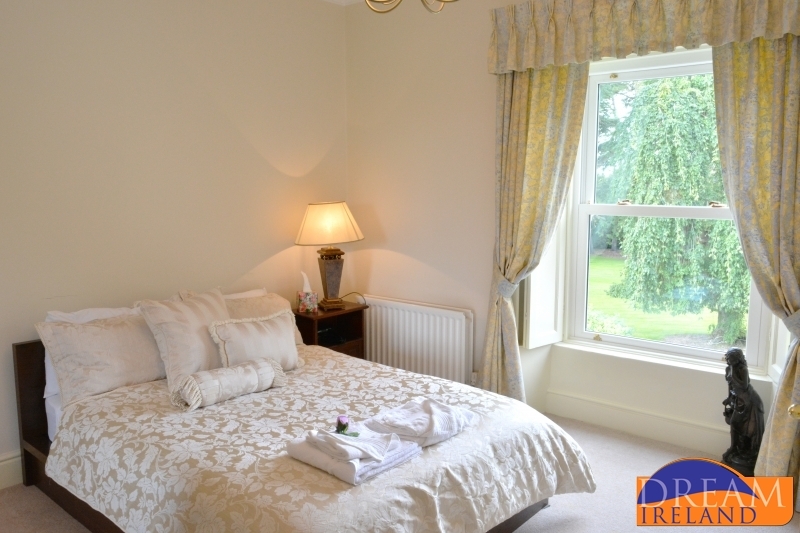 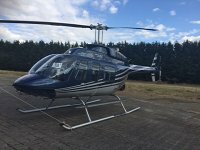 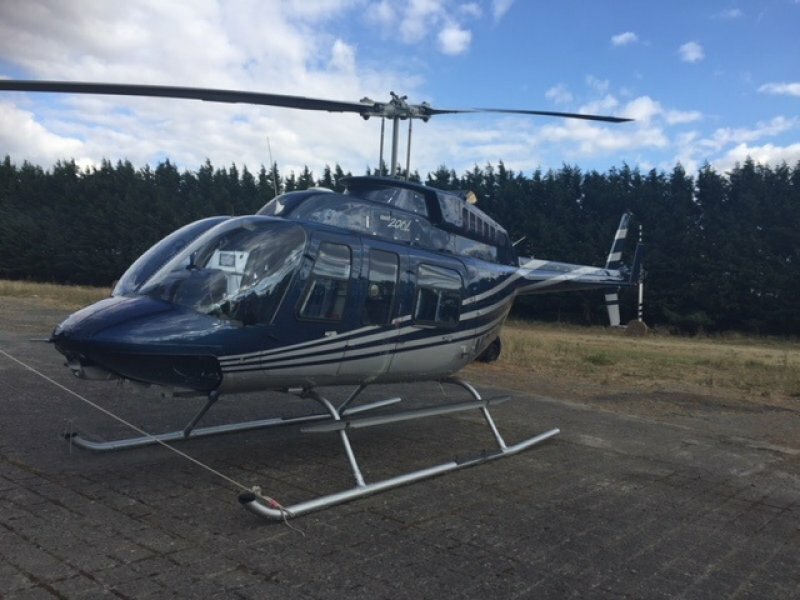 Please note utility charges are meter read and payable on departure to the onsite caretaker.